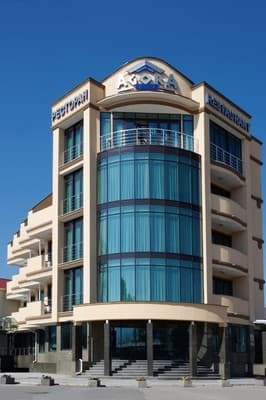 Hotel "Agora" is located on the Southern coast of Crimea in 50 m from the beach, in the heart of the famous resort city of Alushta. It is a modern 5-storey building with a Mediterranean decoration. 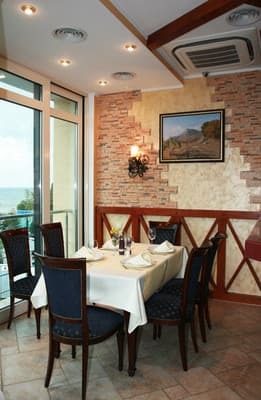 The hotel offers a full range of services for a comfortable stay: a restaurant, a lobby bar, a relaxation center, a solarium, a children's room, an enotec of Crimean and European wines. 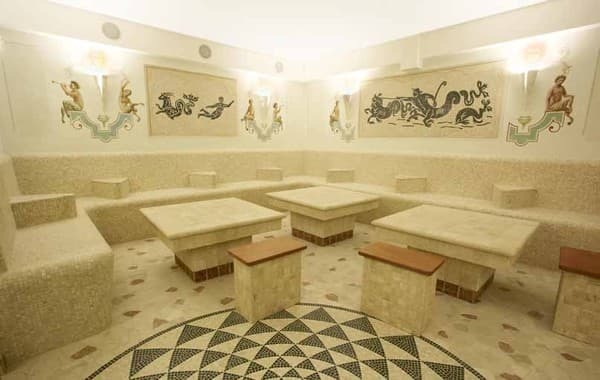 The hotel is decorated with author's sculptures and frescoes, in the rooms the mood is set by the paintings of Crimean artists, and the halls are crowned with photographic reproductions of paintings by Carlo Bossoli. 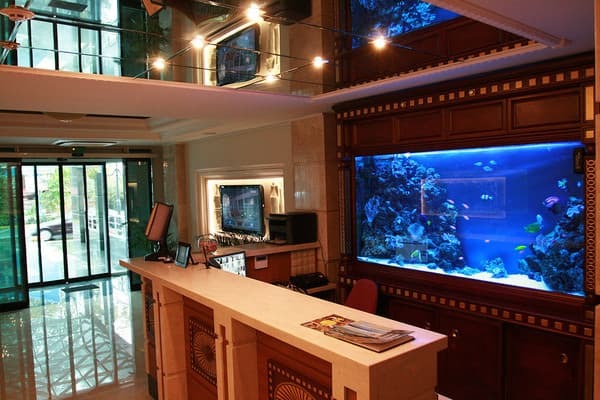 The pride of the hotel is also a large aquarium, recreating a living coral reef. "Agora" is a place that inspires and tunes for a positive holiday. Description of the room: One room for romantic-minded persons. From the attic windows you can see the sea. Room size is 20-30 sq.m. The area of ​​the c / u - 4-5 sq.m. Description of the room: One room with balcony for a comfortable stay. For each guest soft slippers are prepared. Soft carpet, absorbing noise, spacious beds and dim lighting, will create an atmosphere of coziness and peace. Room size is 25-30 sq.m. The area with / u - 6 sq.m. 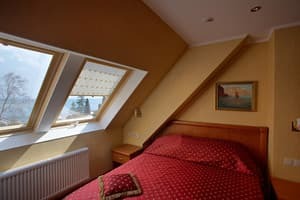 Description of the room: One or two-room spacious rooms with two balconies. The room has soft folding furniture, wicker chairs on balconies and sunbeds for sunbathing. The area of ​​the rooms is 37-46 sq.m. 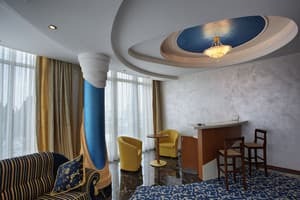 Description of the room: Two-room suite with a royal bedroom, a bright living room, a balcony with furniture and a panoramic view of the sea and the city. From the windows of the room you can see a view of the Demerdzhi Mountain, the fortress of Aluston, the city fountain. In the room there are 2 toilet rooms, a warm floor, a bar counter, upholstered furniture. Possibility of additional accommodation for 2 more people. The area of ​​the rooms is 68-73 sq.m. 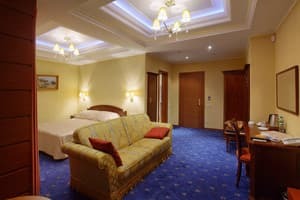 Additional accommodation is possible in the rooms of Suite and Elite (sofa bed for 1-2 persons), is paid in the amount of 300 UAH (includes breakfast and beach). Children under 12 years old - additional accommodation in the rooms of the Suite and Elite - free of charge with the provision of an extra bed (breakfast and beach are paid separately). Children under 5 years old - accommodation in Comfort and Romantic rooms is free without extra bed (breakfast and beach for the child are paid separately). A fixed-route taxi from the railway station in Simferopol. The journey takes 1 hour. On your own car from Simferopol along the Yalta highway. 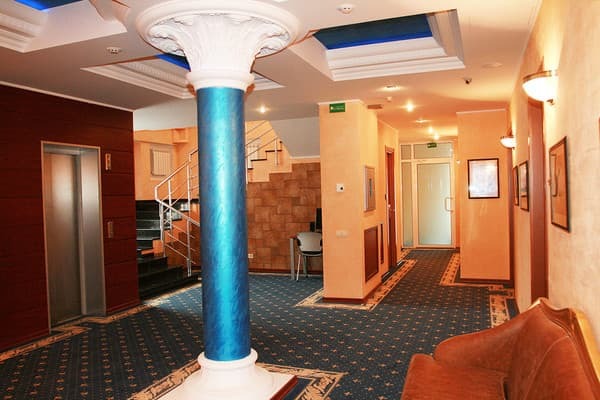 You can agree with the hotel about a meeting at the railway station in Simferopol.